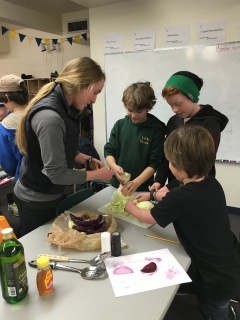 This year NOM volunteered in a multi-age homeroom at the Bridge School teaching lessons on a variety of different local in season vegetables including broccoli, kale, parsnips, cabbage, beets, carrots and mixed greens. 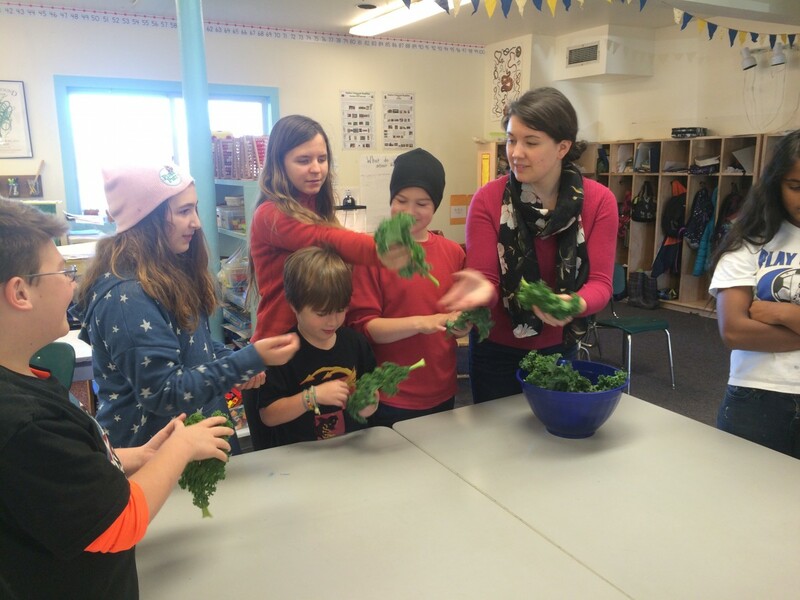 The students also helped prepare the vegetables for taste testing! 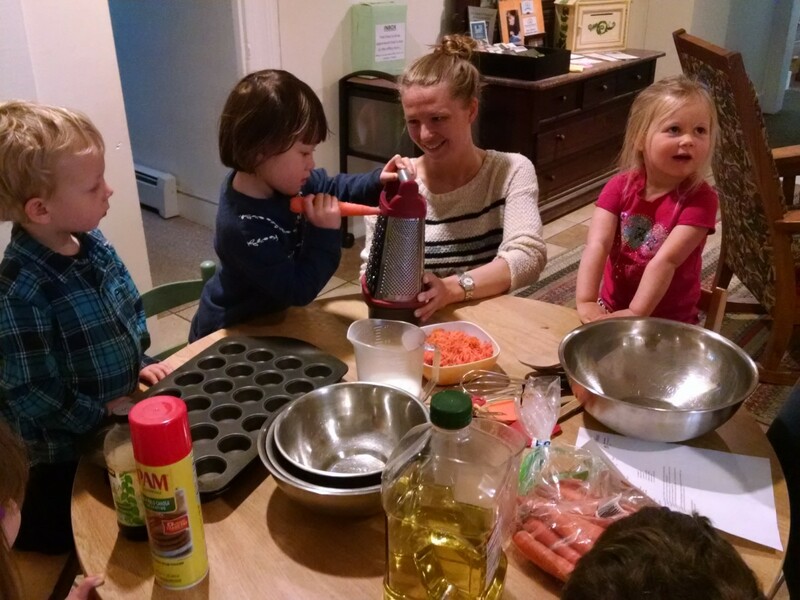 Want to see what former NOM President Rachel was up to while she was abroad? 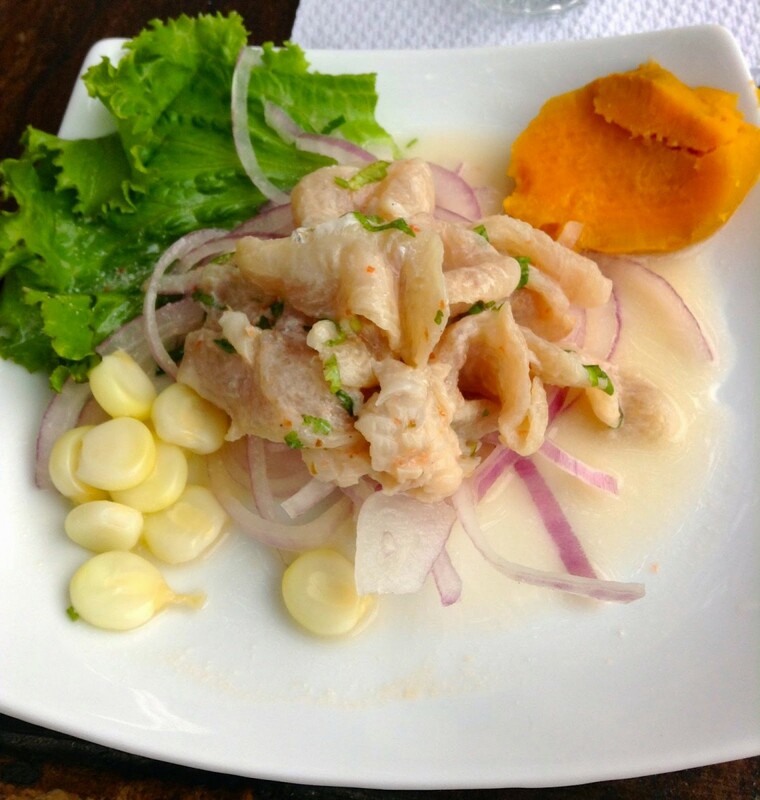 Check out former NOM president Rachel’s blog from her time abroad! It includes many photographs of delicious food from Peru. 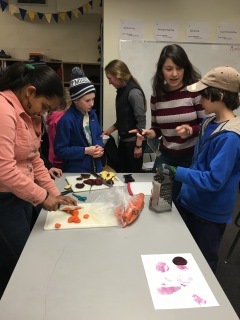 Next year we will have a great new group of students leading the child nutrition education program here at Middlebury College. NOM is so grateful to this year’s board for their hard work and dedication! This year we volunteered with many community partners including Addison Central Teens, Mary Johnson Childcare Center, the Bridge School and Mary Hogan Elementary School. We also collaborated with other campus organizations including Sister-to-Sister, Community Friends, Dance Marathon and Relay for Life. All of this great work would not have been possible without your help! 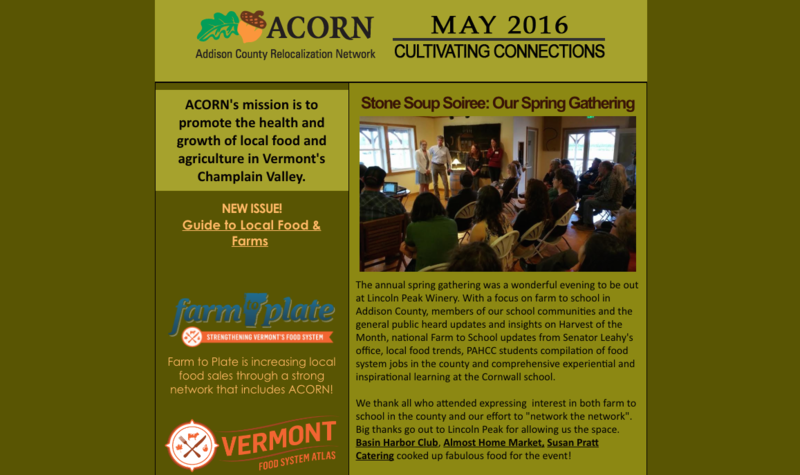 NOM attended the annual Stone Soup Soiree hosted by ACORN to celebrate many of this year’s Harvest of the Month accomplishments. 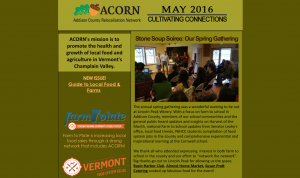 This year the event was held on Thursday, May 5 at Lincoln Peak Winery with a focus on farm to school initiatives in Addison County. Students and volunteers make carrot muffins together in the Mary Johnson Childcare Center kitchen as part of the April Harvest of the Month lessons focused on carrots.